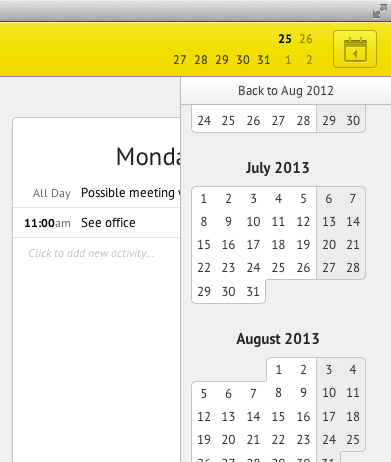 Calendar sidebar is now infinitely scrollable. No need to mess with back-and-forward buttons. Just scroll down.